I was wandering at the Asian Avenue in Sunway Pyramid the other day. 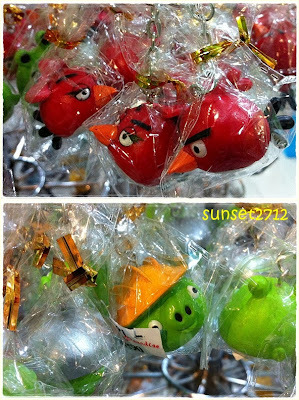 Then all of a sudden I was really in the mood to capture some pictures when I saw so many different types of Angry Birds merchandises being sold. 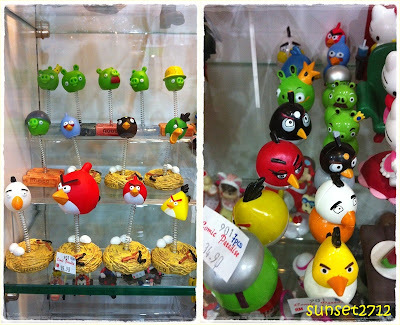 Different types of cute stuff to lure people into buying them! The 'Angry Birds' fever really do raked in crazy money for businesses everywhere! From the official game that can be downloaded from smartphones (I downloaded all 3 apps from Rovio - The Original Angry Birds, Seasons and RIO ones), to the unofficial merchandises sold all over the world. Malaysia, is no exception. Key chains! I really like the pig with the contractor helmet... Feel like buying it... What do you think? Ugly figurines... Some are really distorted it should be taken back to the factory where they were manufactured! ... and I present you the champion of all. This humongous 3d 'Bling-ed Angry Bird iPhone 4 casing. The person who buy this must be mad. So big and bulky! 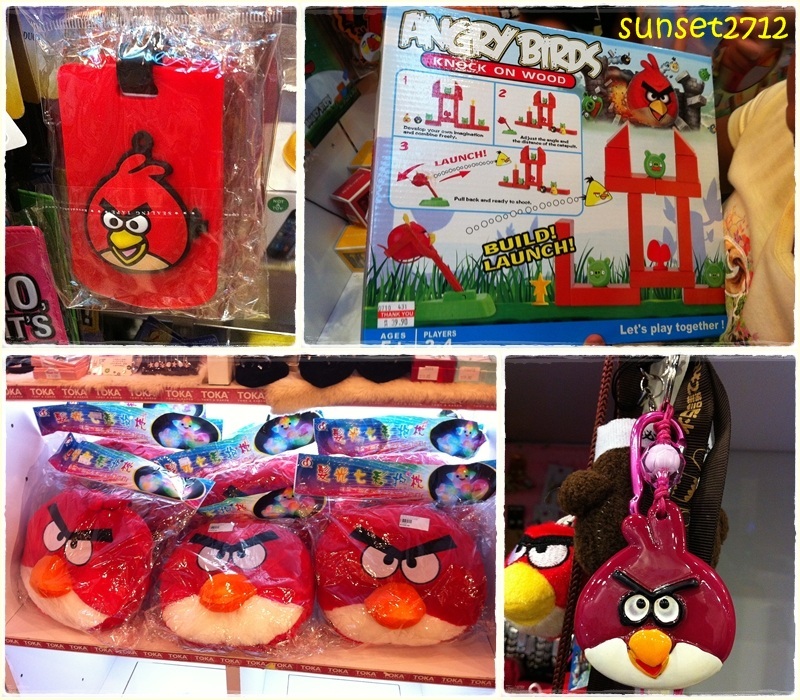 Anyway, these are just a small portion of Angry Birds stuff I saw in just two small shop lots! til my next post, ttfn!